This post describes how to create an IoT system integrating Arduino and IFTTT. In more details, this IoT tutorial covers how to connect Arduino to IFTTT so that we can monitor the gas sensor and send a notification when there is an anomaly. You will learn how easy is creating an IoT system that monitors the gas in a room using Arduino sensors and sends a notification when the gas concentration is over the threshold using IFTTT. First of all, we assume you are already familiar with IoT projects and what IoT means and how it will impact our future. What do we need to create an IoT system that uses Arduino and IFTTT that monitors the sensor? In this step, we will implement a notification system, so that when the gas concentration is over the threshold we will get an email. We will see later how to monitor the sensor. To implement this IoT system we will integrate Arduino and IFTTT. IFTTT stands for If This Then That. It is a powerful system that helps us to connect to countless services like social services., email, SMS and so on. The first step is creating an account if this is the first time you use this service. 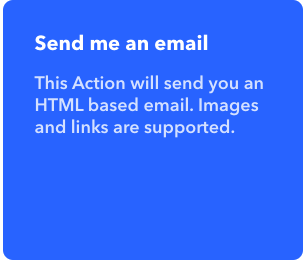 The services provided by IFTTT are free. That’s all. Now to trigger this event we have to call the URL as shown in the service configuration. The Arduino system will call this URL when the sensor detects an anomaly in the gas concentration. That’s all. 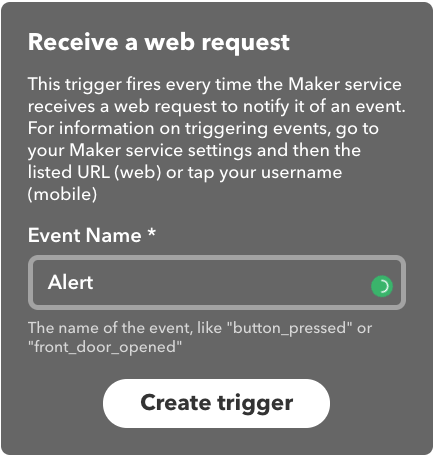 In this first step, we have connected together Arduino and IFTTT. 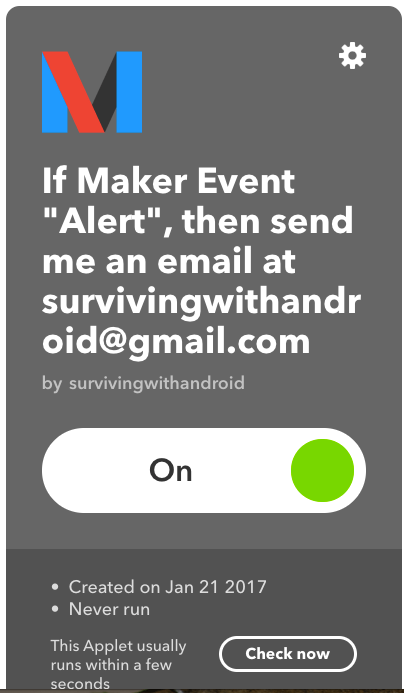 Now Arduino can use IFTTT to send notifications. To trigger the event Arduino will read the sensor values. To make things simple, this IoT system uses a MQ-4 sensor. You can use other sensors too like PIR, temperature, humidity and so on. The same steps can be applied to other sensors too. The process that stands behind this project doesn’t depend on the sensor you will use. Please notice that the connections to the gas sensor in the schematic above are not real, while the Arduino pin used to get data from the sensor is the real one (A5). In the picture above, the resistors are not showed. When you turn on the gas sensor at the beginning it could smell a bit. This is normal do not worry. In the schematic, there are two resistors that connect the Arduino digital pin and the LEDs. This resistor limits the current flowing through the LEDs. They are 220 Ohm. That’s all. You are ready now to develop the sketch to monitor the Arduino sensor. The code is very simple. In the beginning, it declares the pins we will use to connect to the sensor and LEDs. The green LED is always on while the red LED turns on only when the gas concentration is over the threshold. 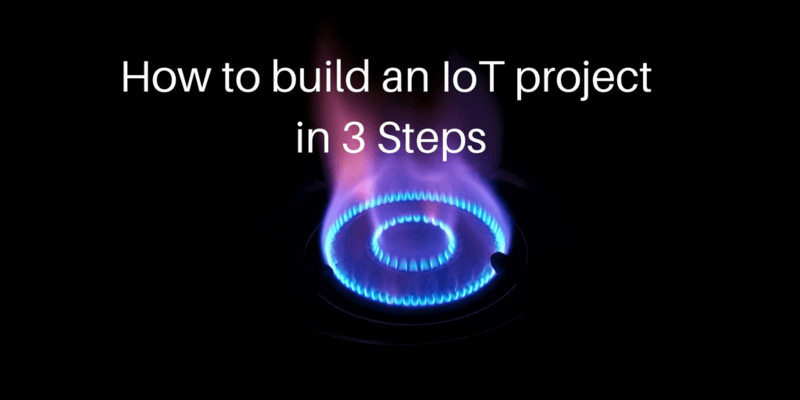 In the end, you have implemented a simple IoT project in just three steps. Integrating online services and Arduino you can expand your Arduino and create interesting and useful IoT project with a few lines of code. In this tutorial, you learned how to create an IoT project that monitors sensor. The best part is the integratation between Arduino and IFTTT so that this integration can be applied to other scenarios too.